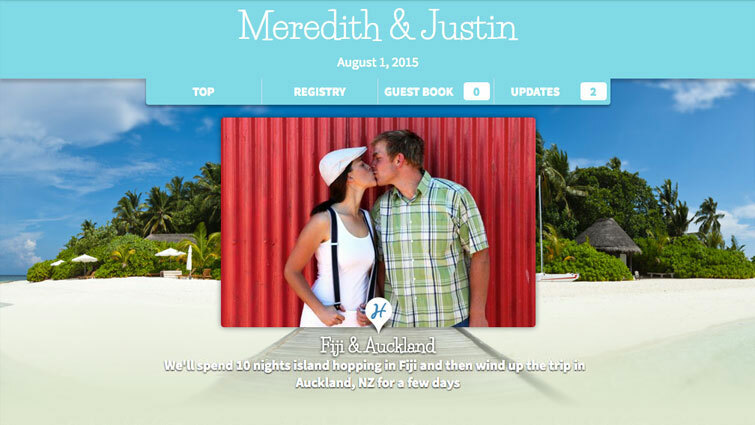 Honeyfund: the free honeymoon registry Sign Up Now! Honeyfund's popular honeymoon registry is a simple way for wedding couples to register for what they really want — a fantastic honeymoon! 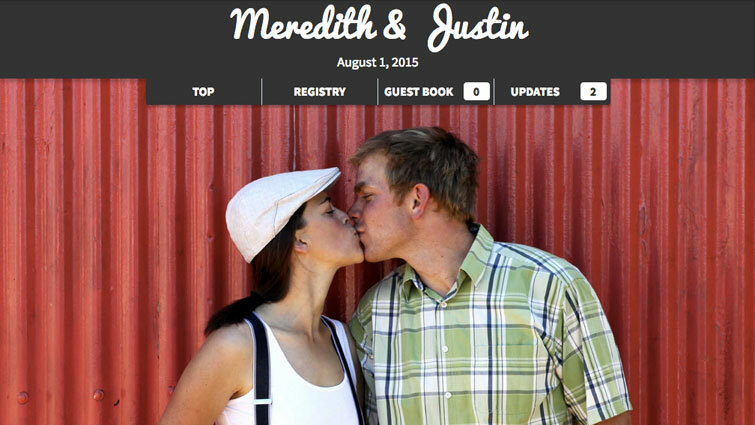 Since 2006, hundreds of thousands of couples have chosen Honeyfund as their honeymoon registry. 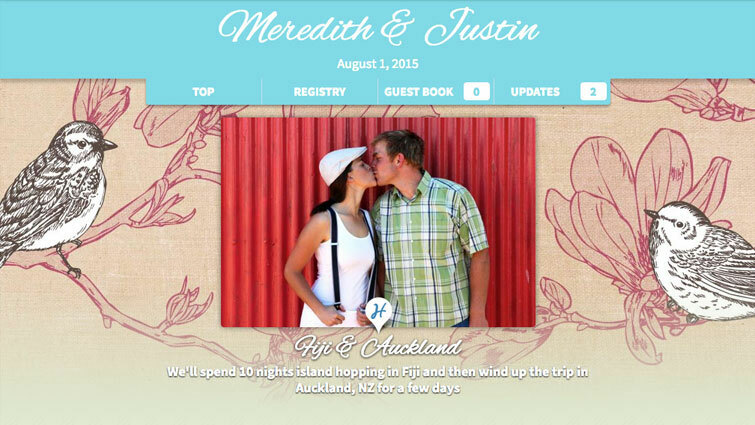 Create honeymoon registries with style! Our sharing tools ensure all your wedding guests know. Printouts for your engagement party! Guests visit your page, choose a gift, and send the funds directly to you. More questions? Good...we've got answers! Why is Honeyfund the most trusted honeymoon and cash registry? Immediate delivery of funds to your own WePay (Chase) account, PayPal account, or Honeyfund Balance. Fee-free options like the Honeyfund Balance, redeemable for digital gift card partners from dozens of partners in travel, retail and more. 5-star customer service team available via phone, chat or e-mail with an average response time of 4 hours or less. One-stop registry features like store-registry linking, universal registry tool, gift cards, and fully customizable wish list items. Questions? We'd love to hear from you. Contact Us. *Deposit timeframe may vary by bank. Typical deposits arrive within 2-5 business days. Is Honeyfund just for honeymoons? No! Honeyfund can be used for any type of cash wedding gift! Raising money for a down payment? Need funds for starting off? Do you have another savings goal? You can put anything you want on your Honeyfund! Not having a wedding? Fundraising, crowdfunding and all-occasion cash gifts are available at our sister site, Plumfund.com. Is Honeyfund safe and secure for me and my guests? With Honeyfund, you book and pay for your travel with a great deal from one of our travel partners or with your own travel provider. The gifts from your guests help you pay for the costs of travel! How do I receive popular gift cards through Honeyfund? You can now register for gift cards from popular travel, dining and retail brands -- right on your honeyfund page! All gift cards are completely free to send and receive, with ZERO transaction fees to you and your guests. How do we receive our gift money? What if we don't receive enough funds from our Honeyfund? You'll want to think about how many guests are attending that might be open to contributing to your honeymoon and do a rough estimate. To maximize your fund, make sure to get the word out by notifying guests of your Honeyfund. When considering the cost of travel, we recommend you budget for your basic travel costs such as airfare and hotels as travel booking deadlines often occur 4-12 weeks before the wedding. As the gifts come in closer to the wedding, you will have funds to add the special EXTRAS that make your trip into a ONCE-IN-A-LIFETIME HONEYMOON! Or, you choose to receive cash, you'll be able to reimburse yourselves for those basic costs. How is all this free? 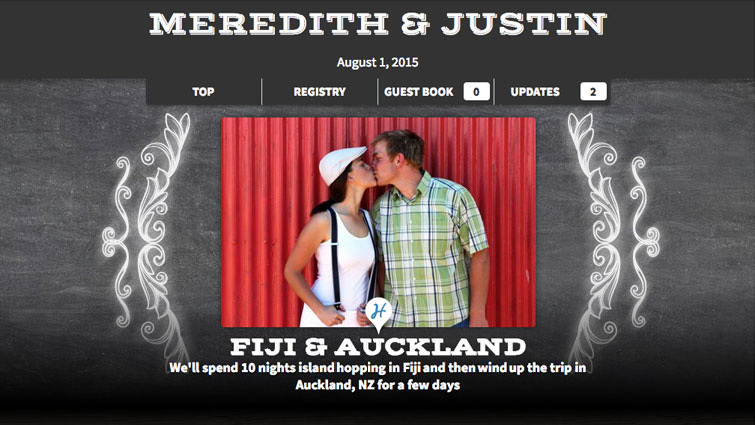 Honeyfund was started with a vision: A free online honeymoon registry with no strings. We’ve never charged a platform fee, and keep processing fees to a minimum through our partnerships with WePay (Chase) and PayPal. So how do we do it? Our budget-friendly Honeyfund Elite package (just $39.99) offers you the most power design tool on the wedding registry market. Revenue from this program and advertising partnerships support Honeyfund's free service. Sign Up Now to see the latest features and pricing. Honeyfund was created by a real couple who wanted a honeymoon registry that didn't charge exorbitant fees. Learn more About Us. Learn the ins and outs of Wedding Gift Etiquette. Keep up to date with the Honeyfund Blog.